IWASA can help grow your farming business in a five-day hands-on workshop. 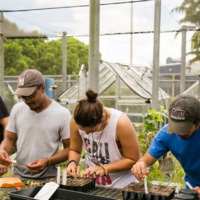 Gain insight on organic farming and value-added products taught by FIU experts. Learn about the latest in farm management technology, as well as farm business, marketing and branding.